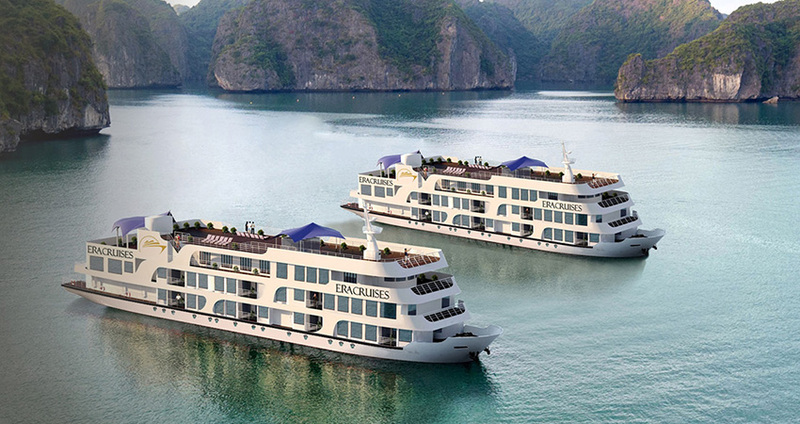 Era Cruises – Managed by Signature Cruises provides rooms in Ha Long. Among the various facilities of this property are water sports facilities, free bikes and a fitness center. The restaurant serves Vietnamese cuisine. At the cruise, each room is equipped with a terrace. Era Cruises offers a continental or buffet breakfast. Era Cruises – Managed by Signature Cruises can conveniently provide information at the reception to help guests to get around the area. Queen Cable Car Station is 1.8 km from the cruise, while Tuan Chau Harbour is 9.7 km away. The nearest airport is Cat Bi International Airport, 40.2 km from Era Cruises. 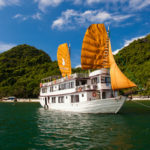 8:00: The guide pick you up at your hotel and transfer you to cruise for discovery Lan Ha Bay Tour.10:00: Cruising through the rock formation and floating villages. 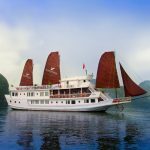 The cruise will stop over for doing kayaking for exploring sightseeing the most beautiful landscapes at pristine tourist areas. After doing kayaking.12:00: Enjoying the delicious seafood on a cruise. 14:00: Continue cruising for visiting three Peaches Island – the most pristine and isolated beach, less-affected by tourist. – Due to weather conditions and tides, our itinerary and programs may vary or change in some ways. – All our meals are prepared from the freshest produce and ingredients available, with a mixture of Vietnamese, International and Fusion cuisines on offer. If you have any special dietary requirements, please inform us when you book your cruise. 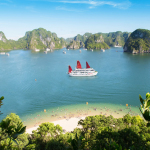 – Advanced bookings are only permitted on our cruises and we require all your details upon booking your cruise including full name, DOB, nationality, gender and passport and Vietnamese visa numbers and expiry dates. 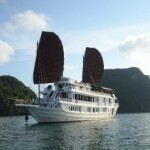 – All guests must have a valid passport and Vietnamese visa to board our cruise. – We accept Vietnamese Dong and US Dollars only. – Be sure to bring sun block and mosquito repellent and warm clothing between December and March. – Try to travel lightly. Your hotel can store your larger luggage for you. – Beverages not purchased on our cruise are subject to a corkage fee. 2days – 01 lunch, 01 dinner, 01 morning snack, 01 brunch.